The simple truth is out there: Berlin is massive. Though local transport options provide easy access to all one might hope to see, eat, drink, or do in the German capital city, fact is, my to-do lists have never shrunk, and it’s all I can do to keep up. The task seems almost impossible in a short stay, but that’s never stopped me from trying. Why I haven’t spent more time in the borough of Neukölln is a minor mystery. Perhaps, it’s my long-honed instincts to avoid the new wave, to focus once more on the old wave. Perhaps, it’s my stubborn contrary nature. 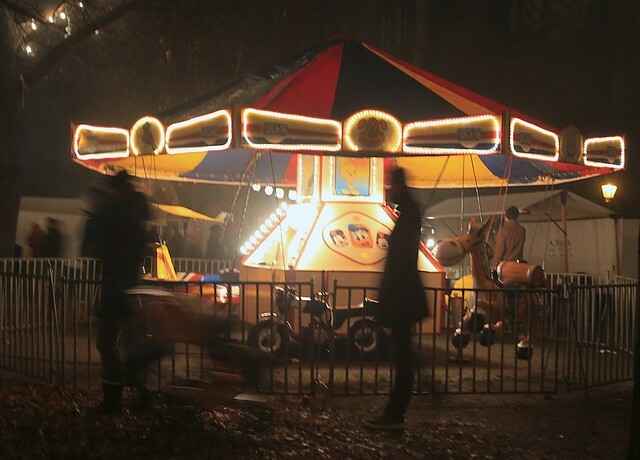 But thanks to friends’ recommendations, I’m inside two Christmas markets in Neukölln on two consecutive weekend evenings. 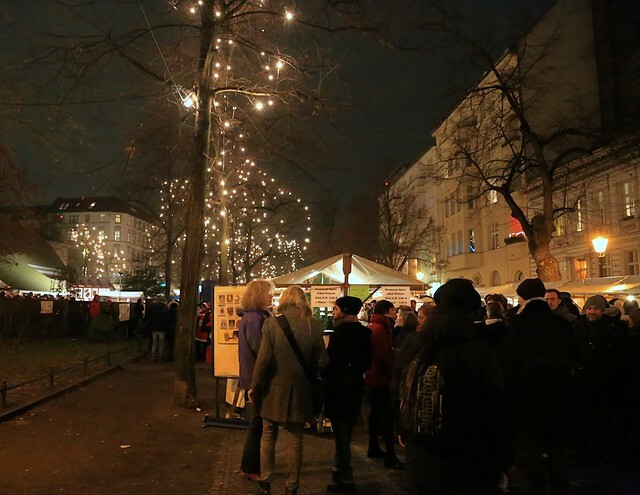 Every year on the 2nd Advent weekend Neukölln’s Richardplatz hosts the Alt-Rixdorfer Weihnachtsmarkt. 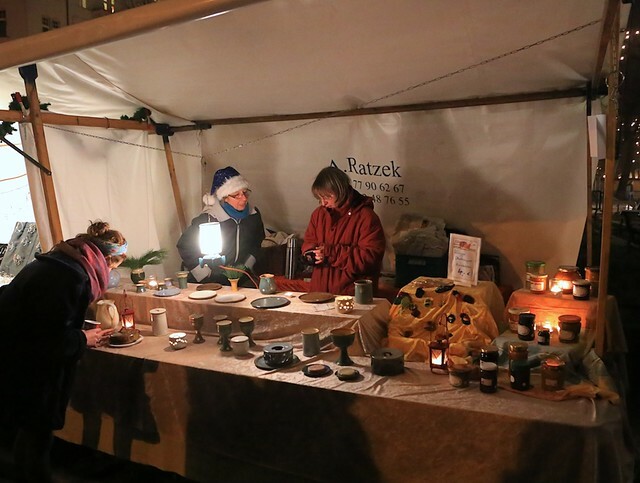 2014 marks the 42nd year for this Christmas market, taking place only during the 6-7 December weekend. Over 100 community associations and organizations set up booths to present handmade wares and goods. It seems the entire borough has showed up at the market tonight; it’s shoulder-to-elbow traffic on this first night. 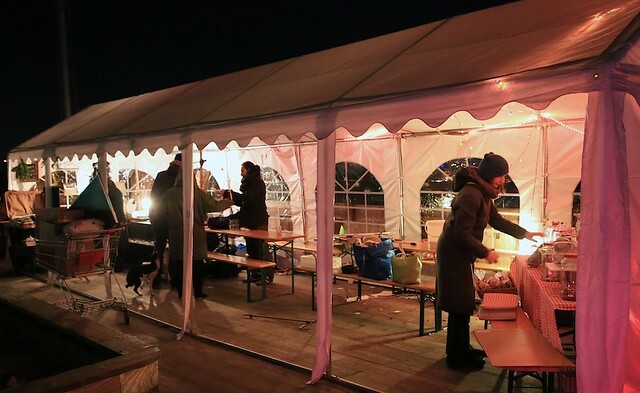 A look around also reveals something a little different: simple signage, tarpaulin tents for stalls, and small groups of people clustered around individual stalls. There’s knowledge and familiarity with this community. Transport: S-Bahn Neukölln, S-Bahn Sonnenallee, or U-Bahn Karl-Marx-Strasse. 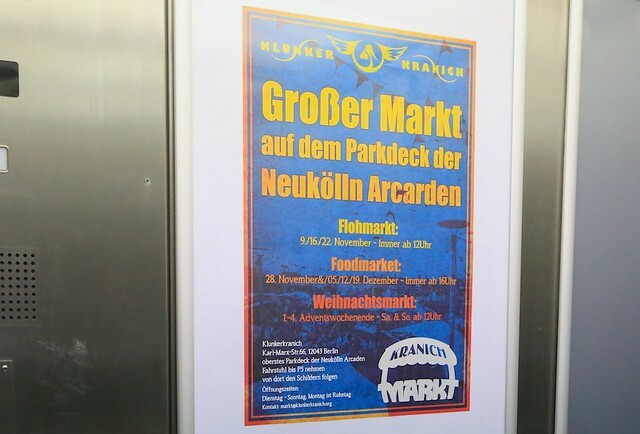 Hidden in plain sight on the Dachterrasse (rooftop terrace) of Neukölln Arcaden is a market. We’re up the elevator to the 5th floor, and out the doors as if I’m heading to our parked car. We turn the corner, up the ramp, and the soft lights beckon us further. 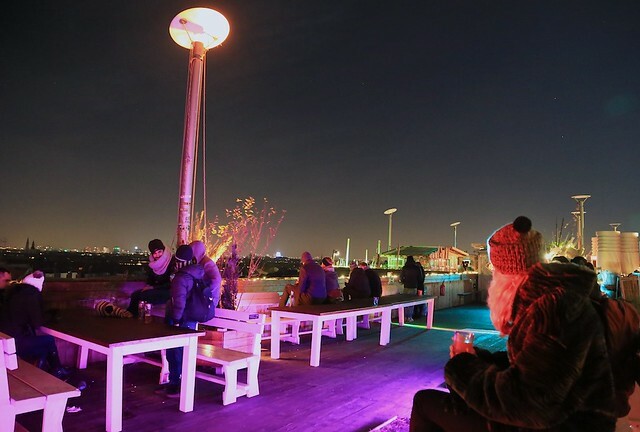 What’s begun as a community garden on the top of a parking garage, residents continue to find diverse uses for this space up top: music venue, bar, small shop stalls. There’s a Christmas market here every weekend in December. 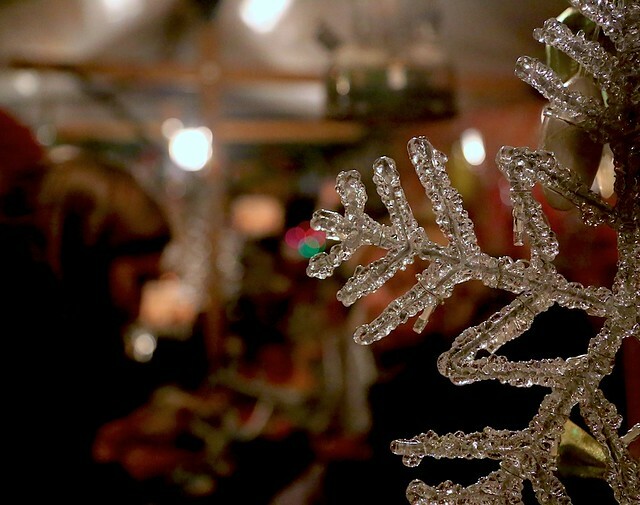 It’s a cold Sunday evening, and we’ve sat on the long benches, our hands a tight hold on our mugs of hot Glühwein. 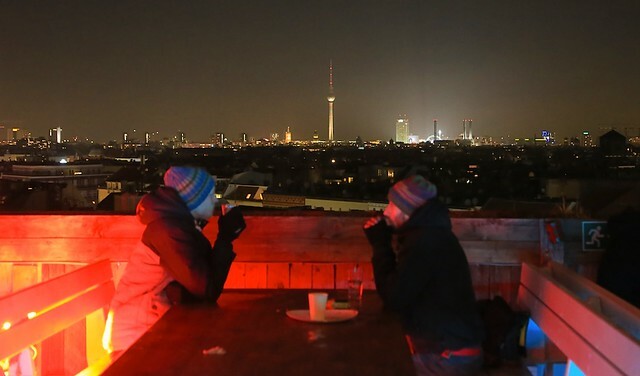 We don’t mind the breeze, complete with an open view of Berlin. It’s definite “chill” here with small groups of people in their own conversations, as we catch up in ours. Despite the packed smoky bar inside, I like what we’ve got outside. It might be cold, but it’s quiet and almost private. It’s like having all of Berlin laid at our feet. I made the photos above on 6 and 7 December 2014. This post appears on Fotoeins Fotopress at fotoeins.com. Access to public transport was kindly provided by Berlin Tourism and the BVG transport authority.